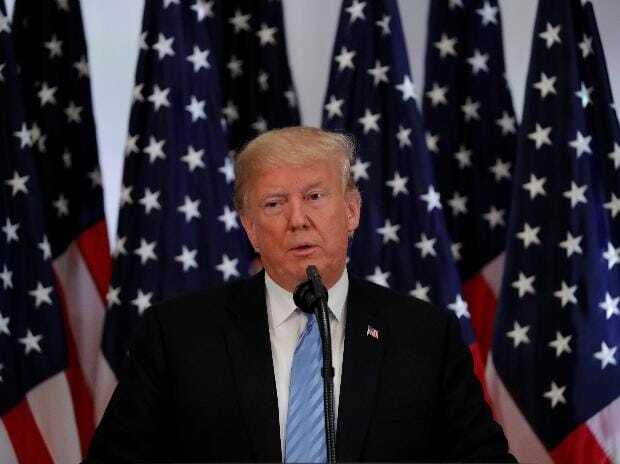 President Donald Trump has said the United States should acknowledge Israeli sovereignty over the hotly-contested Golan Heights, in what amounted to a major pre-election gift for his ally Israeli Prime Minister Benjamin Netanyahu. “After 52 years it is time for the United States to fully recognise Israel’s Sovereignty over the Golan Heights,” Trump said in a tweet. Trump called the Golan — a strategic area seized from Syria and annexed in a move never recognised by the international community — “of critical strategic and security importance to the State of Israel and Regional Stability!” About 20,000 Israeli settlers live in the Golan, which overlooks Syrian territory. Trump’s abrupt announcement was immediately cheered by Netanyahu, who faces a tough reelection battle and visits Washington next week. “At a time when Iran seeks to use Syria as a platform to destroy Israel, President Trump boldly recognises Israeli sovereignty over the Golan Heights,”the right-wing prime minister wrote on Twitter. “Thank you President Trump!” There was also quick approval from the senior Republican in the US Senate, Lindsey Graham, who is pushing for Congress to recognise Israeli control over the Golan. “President Trump’s decision to recognise the Golan as part of Israel is strategically wise and overall awesome. Well done, Mr President!” Graham tweeted. The Golan recognition is only the latest diplomatic bombshell dropped by Washington, which is Israel’s principal backer, in seeking to redraw the fraught Middle East map. In 2017, Trump also went against decades of practice in recognising the disputed city of Jerusalem as Israel's capital, rather than the previously accepted Tel Aviv. The Trump State Department has likewise dropped previous definitions of the Palestinian territories of the West Bank and Gaza Strip as being "occupied" by the Jewish state. Israel occupied the Golan Heights, West Bank, East Jerusalem and the Gaza Strip in the 1967 Six-Day War. It later annexed the Golan Heights and East Jerusalem in moves never recognized by the international community. During Pompeo's Jerusalem trip, there was also speculation that his Western Wall visit with Netanyahu could be interpreted as tacit approval of Israel's claim to sovereignty over the site. The wall is one of Judaism's holiest spots, but located in mainly Palestinian east Jerusalem.